A man charged with setting off bombs in New Jersey and New York shuffled slowly into a Manhattan courtroom Thursday to face federal terrorism charges as his lawyer expressed worries that a federal lockup could not adequately care for injuries stemming from his shootout with police. 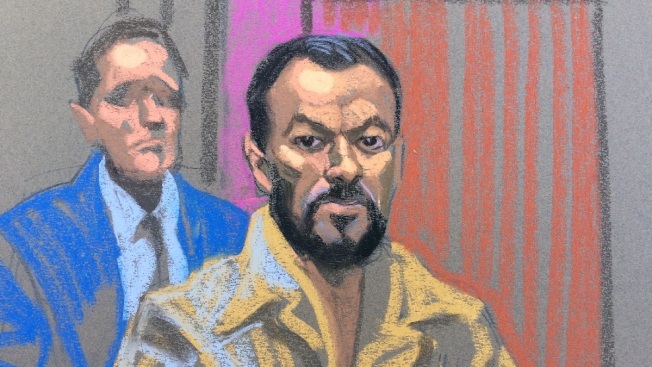 Ahmed Khan Rahimi, 28, listened as U.S. Magistrate Judge Sarah Netburn read him his rights and the charges against him during a brief morning appearance after he was transferred into federal custody at 5 a.m. No plea was required because he has yet to be indicted. The Afghanistan-born U.S. citizen was hospitalized for weeks for treatment of multiple bullet wounds after a police shootout during his Sept. 19 capture outside a bar in Linden, New Jersey. 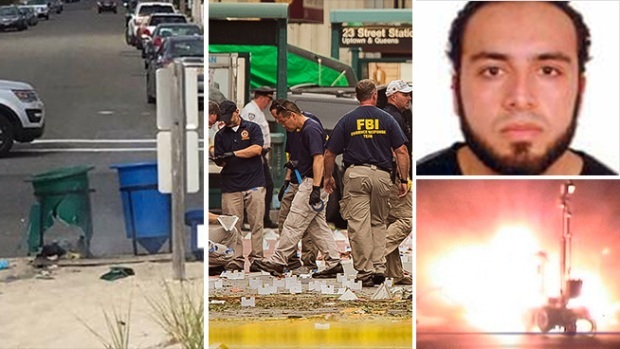 Rahimi is charged with detonating a pipe bomb along a Marine Corps charity race in Seaside Park, New Jersey, and planting two pressure cooker bombs in Chelsea. A man accused of setting off bombs in New Jersey and New York, injuring more than 30 people, pleaded not guilty to charges he tried to kill police officers in New Jersey before they captured him last month. Rana Novini reports. One of those devices detonated, injuring 31 people and shattering windows more than 100 yards away. All of the victims survived. Netburn formally notified him that he faced four federal charges: the use of weapons of mass destruction, the bombing of a public place, the destruction of property through fire or explosion and the use of a destructive device during a crime of violence. Rahimi, speaking softly, acknowledged that he understood the charges while his attorney, David Patton, waived a public reading of them. Patton told the judge he was worried that Rahimi cannot be adequately treated for his wounds at the Manhattan Correctional Center, a federal lockup next to federal courthouses in lower Manhattan. He said Rahimi has already undergone eight to 10 surgeries, many for infections resulting from his bullet wounds. Rahimi also has serious liver damage, injuries to his left hand that prevent him from closing it, an open wound on his right leg and serious back and shoulder injuries, he added. "We have some real concerns about Mr. Rahimi's medical condition," Patton said. Assistant U.S. Attorney Andrew DeFillippis said federal authorities took his injuries into consideration when they decided he was well enough to be transferred to the Manhattan facility. Outside court, Patton said Rahimi "certainly plans to enter a plea of not guilty at his arraignment," but he declined to discuss anything further about the case or his client's mental condition. In addition to the federal charges, Rahimi faces five counts of attempted murder of a police officers and weapons offenses in New Jersey. He has pleaded not guilty to those charges.